Winner of the Autism Society of America's Literary Work of the Year Award, this first book in Sheila Wagner's Inclusive Programming series provides an inclusion program for students with autism spectrum disorders. 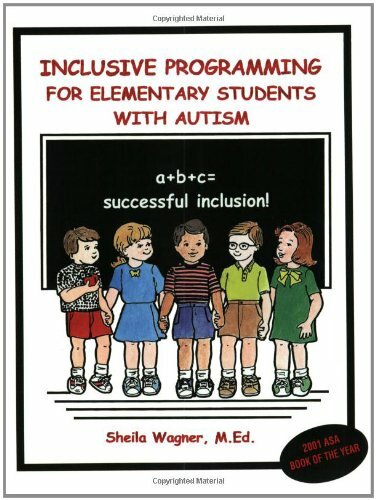 The author outlines both theories and applications of inclusive programming for elementary school students. Sections: Inclusion Philosophy; What is Autism? ; Assessments; How Do We Impact Social Skills; How Do We Impact Behavior; Where Do We Begin? ; How Do We Teach These Students? ; Data Collection; A Note about Middle School; Partnership Between Home & School; Contributions. Includes reproducible pages.